Hana is a sophomore majoring in Genetics. She is so in love with DNA that she is convinced that she is going to marry it; she’s still waiting for the proposal. Hana is the 2016 President of the Purdue Biomakers, but in reality she is just a figurehead and is actually held in captivity by Bo and the other executive board members. Hana is originally from Tokyo, but spent her elementary and middle school years in New York, and then high school years in Sydney, Australia. If this was the only thing you knew about Hana, you’d think she’s a pretty cool person. Hana hopes to become a research scientist and a university professor studying the genetics behind endometriosis, while working as a part-time K-Pop connoisseur. In her free time, Hana likes to dance in her seat while studying while listening to hard rock, as well as conduct excessive moderate online shopping. She often dreams of her cloning and transformations in her research lab working, or candles finally being permitted in residential halls. She then wakes up depressed because neither of those things will happen in real life. Bowman is a Junior majoring in Biology who is also pursuing minors in Biotech and Creative Writing. This year he aspires to victory at the 2016 Jamboree and has crafted a rigorous work schedule to accomplish this goal. He is excited to work on potentially groundbreaking research both in the characterization of proteins from Microlunatus phosphovorus and the integration of organic nanowire into E. coli. He loves to write all kinds of fiction (and some nonfiction) and plans to write a dystopian short story about phosphorous shortages for the SYNENERGENE grant application this year. When he is not engrossed in science or his writing, Bowman can be found making his guitar sing (when he can be bothered to practice), playing DOTA 2, or watching movies. Bowman styles himself a cinephile and scoffs at his interns for their poorly developed cinematic palette. He is devoted to improving both their synthetic biology skills and their taste in film. Bowman also enjoys hanging out with his friends and of course can’t wait to see Lexi every day. James Welch is a rising Senior, planning to graduate in the spring of 2017 with a major in Cell, Molecular, and Developmental Biology. With minors in Spanish, Creative Writing, and Biotechnology as well as a Learning Beyond the classroom Certificate and Graduation with Honors for research while at Purdue. He has been a part of iGEM since Freshman year and plans to keep contributing until graduation rips him away. His career goals involve the use of Synthetic Biology to solve local problems by working with the community. Graduation is just around the corner so he is looking for Graduate Schools where he will be able to pursue more options in the field of synthetic biology as well as learn and develop as a scholar. Melissa is a Biological Engineering student entering her junior year. She is the Vice President of Programming. While she finds spending hours in a lab extremely fun, Melissa also enjoys watching Game of Thrones, playing soccer, and reading Dostoevsky. She aspires to work for/start a company that works on creating sustainable energy solutions, and if that doesn’t work out, she will live her life as a happy hermit. Sean is a student in Biological Engineering, minoring in Mathematics and Religious Studies. He is a practicing (and improving) Catholic, Hibernophile, bassist, and avid fan of 50s Rock, Christian art/architecture, baseball, and his best friend Jill O. Aside from this, Sean is interested in Hepatitis C, particularly in finding the causes of the large percentage of unknown transmissions. One day, he plans on entering the Jesuits to teach math and the Logos throughout the world. Lexi is a sophomore in Biological Engineering with a focus in Cellular and Biomolecular systems and minors in Math and Dance. She loves synthetic biology and was ecstatic to work in the lab with the iGEM team over the summer. Now she is the Director of Human Practices and is just as excited. She plans to get a PhD in something… eventually… Other than that she spends way too much time dancing, like WAY TOO MUCH. She has danced in almost every style, but is currently into Hip hop (she cannot twerk), Modern, and Tap. She also enjoys watching shows by Joss Whedon, making obscure musical references, and looking at math proofs online (weirdo). She has no idea what she is doing with her life and is just trying to stop thinking about it and go with the flow as she learned in her Contact improv class. 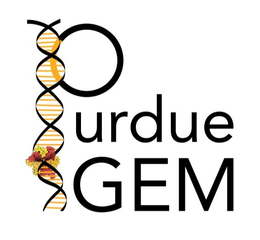 Ryan Budde is a sophomore in Biomedical Engineering and the secretary for iGEM. He is also involved in Greek life, Purdue’s orientation program Boiler Gold Rush, and undergraduate research. He is interested in studying medical devices. Paige is a current freshman who plans to declare a major in Biomedical Engineering with a focus on Neuroengineering this fall. She thinks the brain is rad and would like to contribute to the growing body of research produced by brains learning about brains (it gets trippier the longer you think about it). As the 2016 Chief Liaison, Paige has earned the nickname “Tiny Rickus” by doing nothing other than resembling advisor Dr. Jenna Rickus. They both have curly hair—it must be the hair. A retired competitive soccer player due to 2 ACL reconstructions, Tiny Rickus has lived in the exotic locales of Illinois, Switzerland, Miami, and Indiana, once rode a dairy cow, and has a scar from an unfortunate incident with a pelican. In the time Paige decides to declare “free,” she enjoys reading, drinking coffee, petting cats, reading while drinking coffee and petting cats, drinking coffee while petting cats and reading, and petting cats while reading and drinking coffee. Someday, she hopes to cure ALS, or Lou Gehrig’s disease, while reading, drinking coffee, and petting cats.